We make every effort to buy lumber from reputable lumber companies who are using sound and ethical forestry practices. Currently, we use only woods grown, harvested and milled in the United States. Approximately 80% of the Hickory lumber we buy is Appalachian Hardwood Verified Sustainable. Approximately 80% of the Cherry we buy comes from mills that are verified sustainable by the U.S. Forest Service. 100% of the Quartersawn/Riftsawn White Oak we use comes from mills that are verified sustainable by the U.S. Forest Service. Approximately 80% of the Walnut we use comes from a mill that holds a certificate from its own association (American Walnut Manufacturers Assn.) stating that it is in voluntary compliance with sustained yield practices. Another 10% of the Walnut we use comes from a mill that is verified sustainable by the U.S. Forest Service. Our hardwood flooring is derived from a natural resource that grows and matures, and then is regenerated for future generations. In North America, use of hardwoods from public land is regulated and monitored. A U.S. Forest Service study released in 2008 confirms that American hardwood forests are being managed in a sustainable way. See the USDA information. Six trees are planted for every one harvested in the U.S.
Forest growth has exceeded harvest since the 1940’s. Today, growth exceeds harvest by 47%. Each year, hardwood volume increases by 5.27 billion cubic feet, even after harvests, fire, insects, and disease. Sources: U.S.D.A, Hardwood Review Weekly, and Hardwood Forest Federation. 100% of the by-products of our flooring are put to use. 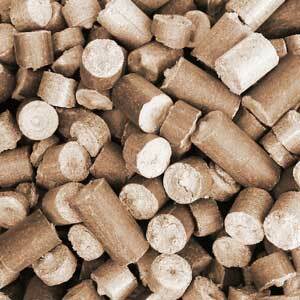 We have an efficient boiler system that utilizes sawdust and planer shavings, and has very low emissions. This provides heat for our manufacturing buildings and warehouse, and melts ice on our concrete slabs during winter. The system also contributes to the heat used for drying wood. With our sawdust and planer shavings, we produce our Woodchucks Fire Logs. These are formed in a European press. No binders or additives are used in these logs, and the result is an extremely hot-burning, clean fuel, with low moisture, low creosote, and low emissions. We market these to both commercial and residential customers.